Fastbind Manager Hard Covers™ give an exclusive and trustworthy look and feel to all printed offers, reports, etc. 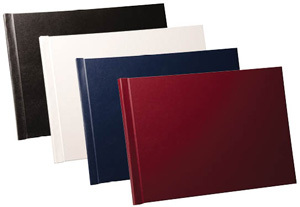 These stylish and dignified leather imitation hard covers are suitable for foil printing. Available in seven different spine thicknesses 8 mm, 10 mm, 12 mm, 14 mm, 16 mm, 18 mm and 20 mm. Designed for easy but exclusive company presentations etc. Fastbind Manager Soft Covers™ are made of stylish and durable leather imitation material. 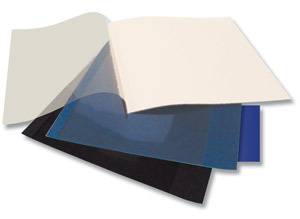 One cover size suits all binding thicknesses up to 40 mm. There are two types of Manager Soft Covers: full card and with a transparent front. The cover grammage is 400 g/m². For the transparent front covers, the PVC film thickness is 200 microns. 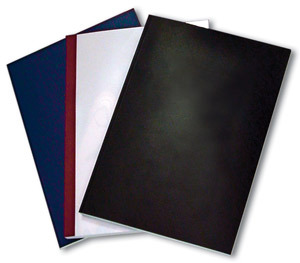 Fastbind Executive & Economy Covers™ offer a dignified presentation to your documents. Executive covers are available in several colors: leather white, linen white, royal blue and black. Fastbind Economy Covers™ are made of white carton (200 g/m²) with a transparent front (150 microns). High volume production allows this range of Fastbind covers to compete with thermal cover prices without sacrifice in quality and flexibility. You can bind from 1 page up to 50 mm.